Garrett Nail serves some of Continuant’s largest customers as a Service Delivery Lead. He specializes in supporting customer service requests and escalations for Continuant’s Cisco and Microsoft customers. The Service Delivery Lead role was a natural step for Garrett. Recognized for his leadership skills and ability to keep calm in high-pressure situations, Garrett is considered the “go-to” person within the department. 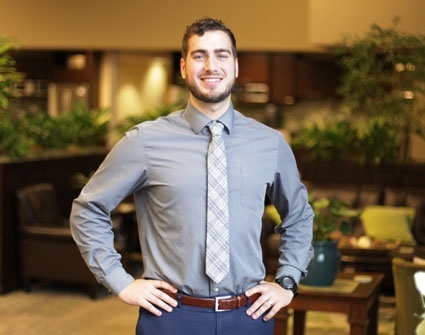 He first came to Continuant four years ago, focusing on building long-lasting customer relationships as a Named Account Managed (NAM) in Continuant’s Customer Service Center. Born and raised in Olympia, Washington, Garrett graduated from New Market Skills Center at the top of his class, while he obtained his CNA (Certified Nursing Assistant) License for in-home and hospital caregiving. Garrett currently resides in Lacey, WA, with his wife and two children.